Disclaimer: I have to start the title with ‘Science’, just in case any of you think that this is a recipe about how to make your rice with (more) arsenic. Early February, I was informed by the husband about several articles online, about arsenic content in rice. Rice, as most of you know, is a staple for most Asian cultures. I sometimes crave, CRAVE for a simple bowl of steamed white rice. So, my initial reaction was along the lines of “April’s Fool arrived 2 months early”. He forwarded me these articles below, and I subsequently did more reading to find out if this is just a disproportionate overblown clean health eating malarkey that has been the trend recently. Common method of cooking rice can leave traces of arsenic in food, scientists warn from The Independent. Should I worry about arsenic in my rice? from BBC News. It’s all science talk from now on, and I have to say that most of the information here are summarised from BBC’s Trust Me I’m A Doctor page about rice, titled Should I be concerned about arsenic in my rice?. Arsenic is a natural element that can be found in earth’s soil, water and air. It is toxic, and is considered a carcinogen by the EU (meaning it’s a known cause of cancer to humans). The levels of arsenic found in food is small, but it is found to be much higher in rice compared to other cereal crops because rice is grown in flooded conditions, so the crop absorbs the arsenic from the soil and water much easier. It should also be stated that Jasmine rice grown in Thailand and Basmati rice grown in India and Pakistan has been found to contain the least amount of arsenic. And brown rice contains more arsenic than white rice. The FDA page mentions something about parts per billion (which totally does my head in), but let’s just say that I am probably half arsenic by now, with the amount of rice and rice products that I have eaten in my life. 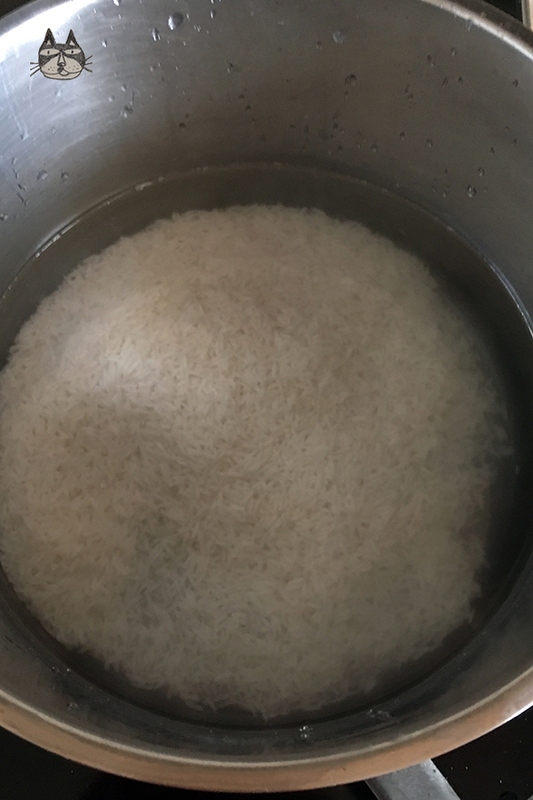 you soak the rice overnight in a lot of water. This allows the rice to ‘open up’ and the arsenic will leech out into the water. 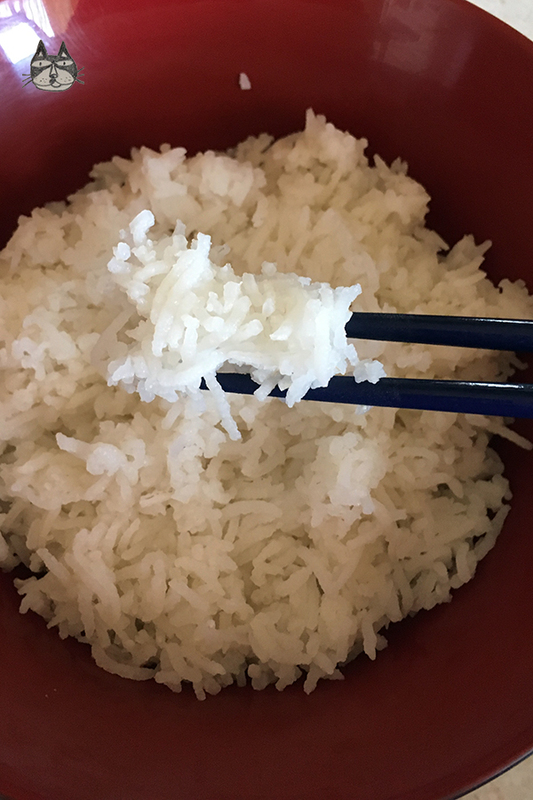 Sounds like a hassle, but cooking your rice this way removes about 80% of the arsenic from the rice. I personally do it this way now – and I have to say that it does require a lot more time. Soaking it overnight is the easy part – but if you are used to cooking it in a rice cooker and not pay attention to the rice pot on the stove, this does take a bit of getting used to. 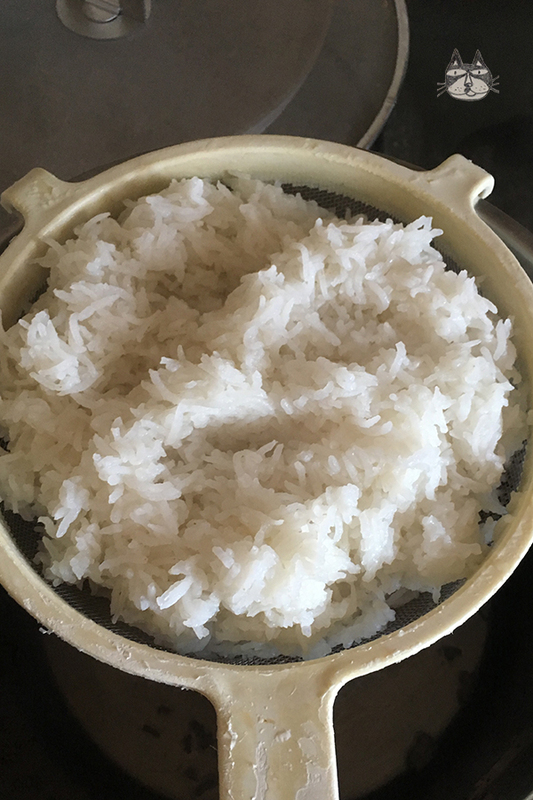 The rice is also a bit flavourless (I would recommend adding a pinch of salt to the cooking water) or maybe after the rice is drained dry, to fry the rice with a little butter or olive oil, and season before serving. 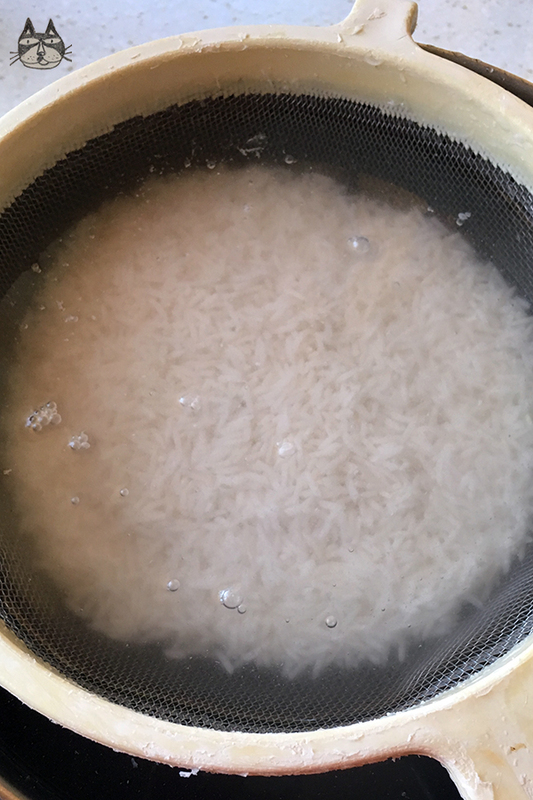 I will attempt to cook rice like this from now on – maybe cooking the rice in stock just to test if it will work, and maybe on the way stumble and create new rice-based recipes!